Here is something I don’t see all that often. 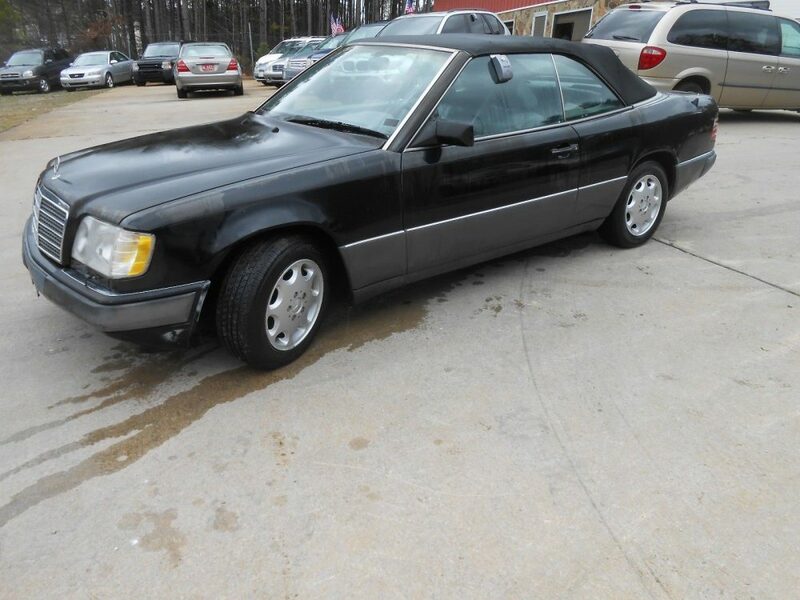 This is a 1993 Mercedes-Benz E36 AMG Cabriolet. If you are asking yourself why you never see these cars, it is because they are incredibly rare. The W124 E36 is exactly what it sounds like, a W124 with a 3.6 liter M104 from AMG with some cool bumpers and wheels. For as German as Mercedes-Benz is, they are dreadful for publishing production records on cars that aren’t worth a million dollars. Although maybe they just aren’t very open with sharing their information either. From what I understand, under 200 W124 E36 AMG cars were produced during the last few years of the W124 production run in the sedan, coupe, cabriolet and estate bodies. Of the less than 200, 57 officially went to the UK as right hand drive models and the rest were scattered around the rest of the world. Much to no ones surprise, none made it to the North America. 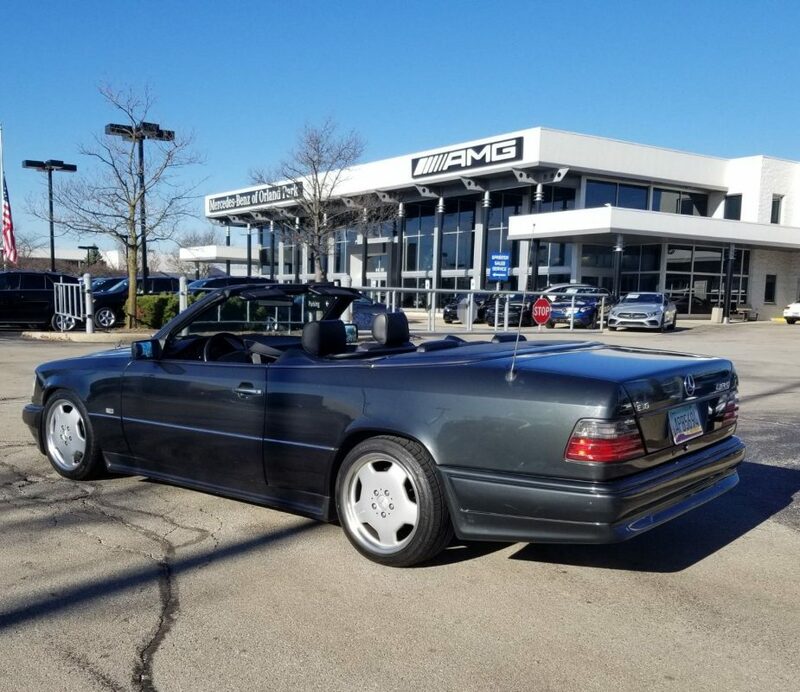 Today, we have an E36 AMG Cabriolet up for bid in Illinois. Except this car isn’t one of those 200 cars. Please stay with me here. Last week I looked at a 1994 Mercedes-Benz E320 Coupe that had a ton of potential, but I just couldn’t commit given its long list of aftermarket parts that weren’t very flattering in my eyes. From the looks of it, the readers felt the same way judging by the comments that echoed my points. 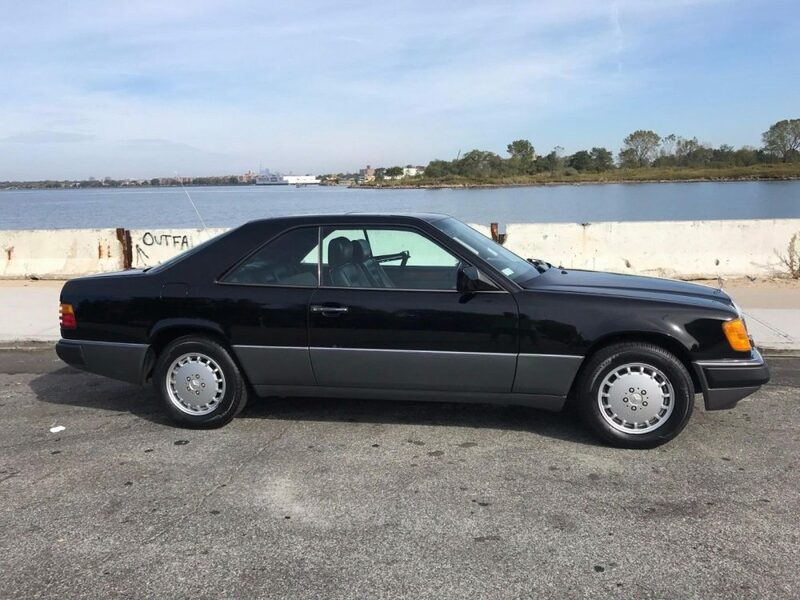 Today, I found another W124 Coupe that not only is stock (outside of a Blaupunkt headunit), but is actually one of the nicest C124s I’ve ever come across. 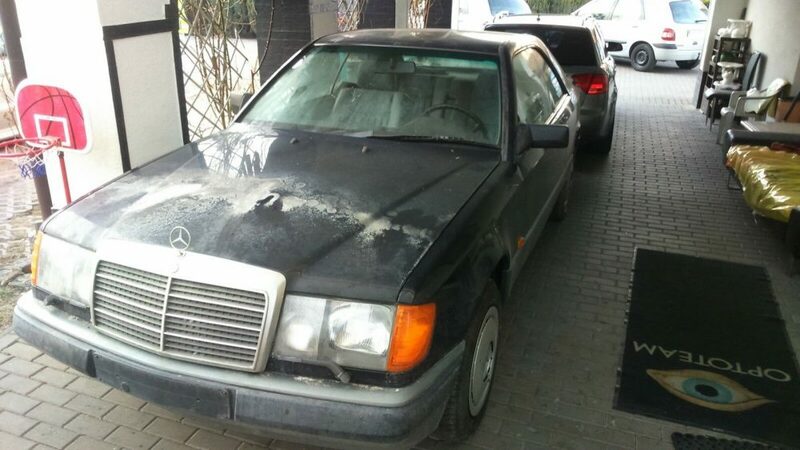 This 1993 220CE up for sale in the Netherlands is a model that was never sold in North America and is quite unique thanks to a few options. 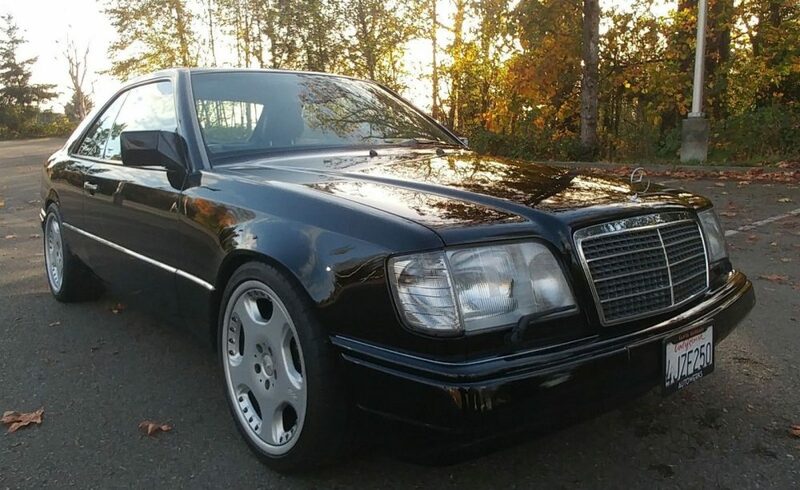 This 220CE is powered by the M111 inline-four that is also found in the W202 C220, a car we do have in North America, and makes a surprising 150 horsepower for being as basic as it is. All this is nice, but the real reason I am here is because of the beautiful Malachite Green, both inside and out. One of the things I love about the W124 Mercedes-Benz E-Class is that it came in every shape and size. What I mean by that is that you could buy a sedan, estate, coupe and cabriolet. This is unique because it is the only generation that can boast such a fact. The prior W123 lacked a cabriolet and every generation after lacked the coupe and cabriolet. You might be saying that the CLK-Class is basically the E-Class coupe, but I don’t see it that way because the CLK was a mash-up of a parts both mechanically and cosmetically from the C-Class made to look like an E-Class, not a true E-Class coupe. Even when they literally changed the named to E-Class Coupe in the recent generations, it is still riding on a C-Class chassis. 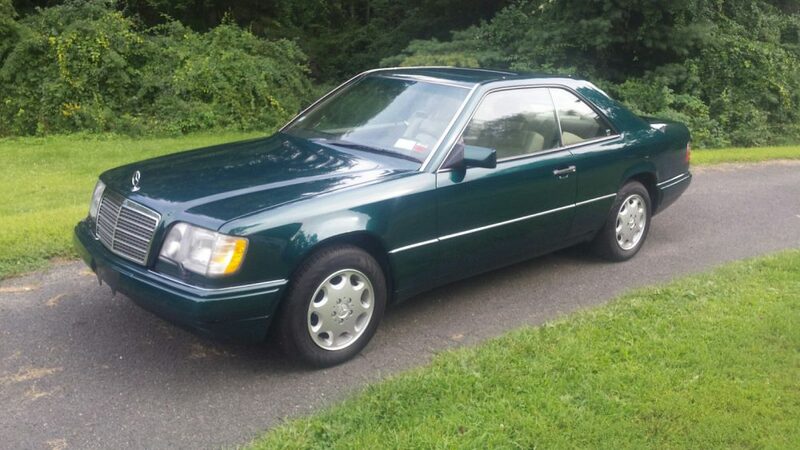 That leads me right into today’s car, a 1994 E320 Coupe up for sale in Connecticut, that has that classic facelift W124 look and checks all the right boxes if you are looking for a sleek and livable daily driver. The best part about it? It looks to be fully sorted and won’t take much to drive home with. 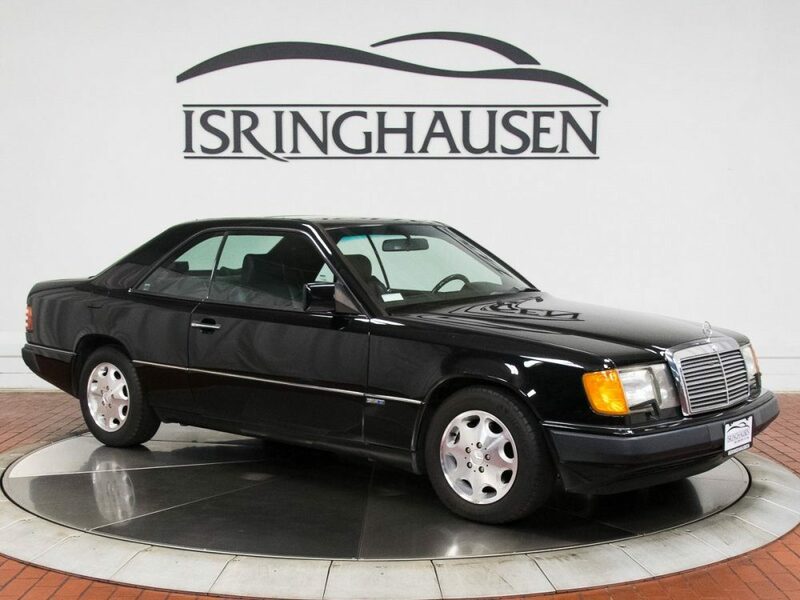 Yesterday I looked at 1992 Mercedes-Benz 300E for the pure fact that is it the Sportline option that is pretty rare. Though Mercedes made about four billion W124 300Es, it feels like almost none of them are Sportline. Well, when it rains it pours, because I happen to come across the even rarer 1992 230CE Sportline. Before everyone rushes down to the comments and starts typing ”If only it had a manual transmission!”, hold your fingers, because it does. We North Americans were not graced with this model and surely never in the 5-speed even if it had come, so this one is a rare bird to say the least. 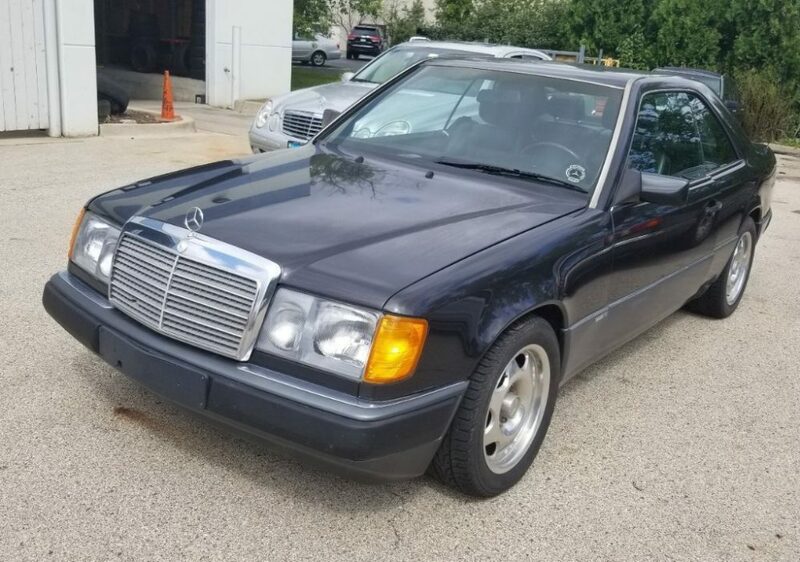 Somehow, this 230CE Sportline is up for bid outside of Chicago. I just wish it was a better example. 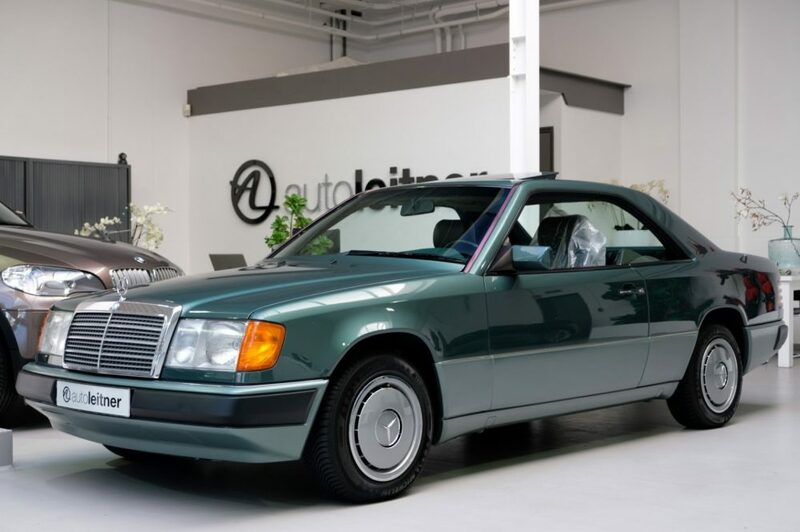 Almost every Mercedes-Benz E320 Cabriolet I look at falls into the category of a really nice to exceptional example of one. This makes sense as a the W124 Cabriolet was an extremely expensive car when new in 1994 at $79,000 that equates to about $132,000 in today’s money. I told you these were really expensive. As a result and maybe even a little bit surprisingly, people took care of these cars if they held on to them past the normal three to five years from new ownership cycle that cars are usually subjected to. 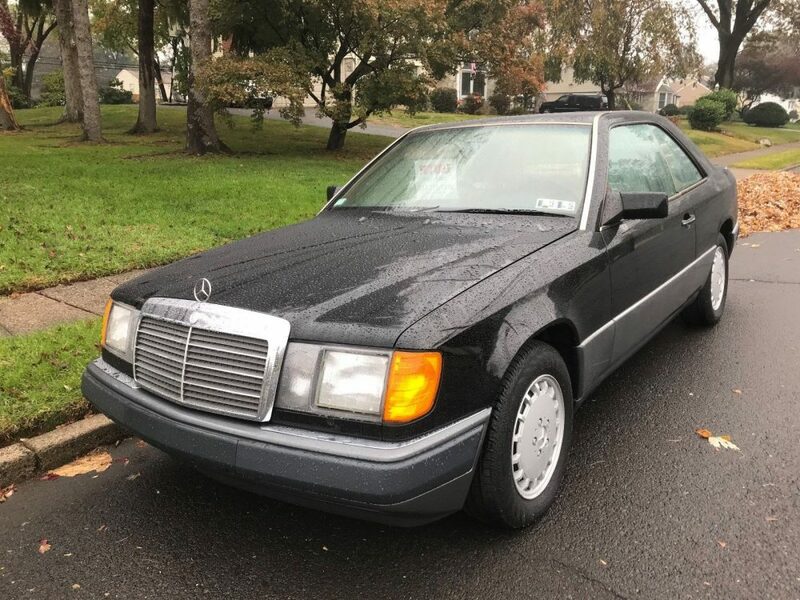 I’m sure that had a lot to do with the W124 Cabriolet not following the same deprecation curve as almost every other mass-produced post-war Mercedes in history that results in poor Craigslist postings and/or time spent at a BUY HERE PAY HERE car lot with four mismatched tires. Unfortunately, this 1994 up for sale in Georgia seems to have suffered that fate.